Erik has been developing new products and bringing them to market for 20 years, resulting in hundreds of millions of dollars of exits and revenue generated. Prior to leading strategy at SpringCM, Erik was Founder and CEO of SimpleRelevance, a highly acclaimed machine learning platform to optimize digital marketing. In 2015, SimpleRelevance sold to Rise Interactive, where Erik led the Account Strategy and Personalization business units. He and his companies have been featured in the Wall St. Journal, Associated Press, Crain's Chicago Business, The Chicago Tribune, and a variety of other publications. He regularly writes columns on innovation and entrepreneurship for outlets including Fortune and Forbes. 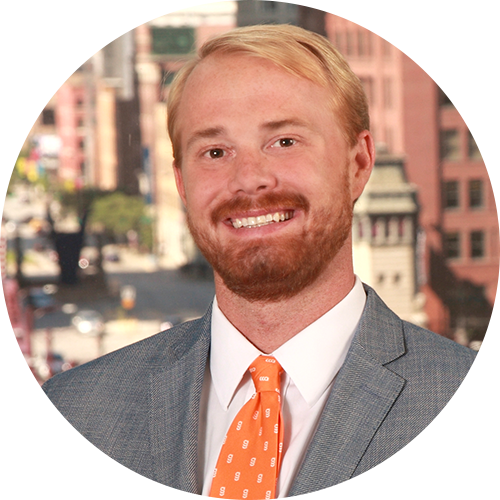 Erik has won a variety of awards, including a Chicago Innovation Award, Moxie Award (Best Business to Business Startup), Direct Marketing Associations 40 under 40, Top 50 Northwestern Startup Alumni, and cover stories in Crain's Chicago as well as Biztech Magazine. He has an undergraduate degree from UNC's Kenan-Flagler Business School and an MBA in Entrepreneurship from Northwestern's Kellogg School of Management. He was a founding company in Chicago's 1871 incubator and graduated from Techstars Chicago. A self taught programmer from second grade, Erik has been an active part of the Open Source movement since 1998 and remains passionate about technology innovation. Erik resides in Chicago, and when he's not working he enjoys training for Ironman triathlons, mountaineering, back country skiing, and cheering for the Cubs and Tar Heels.